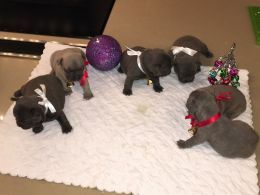 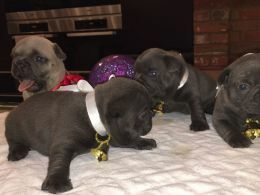 babies, 3 very chunky boys and 3 stunning girls, mom is AKC Champion and has a lovely temperament and has been perfect with them , their dad is also solid and from a litter of lilacs so pups may carry chocolate too! 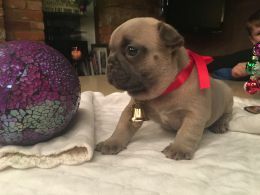 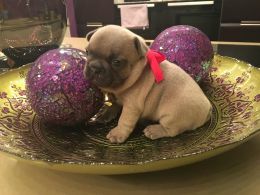 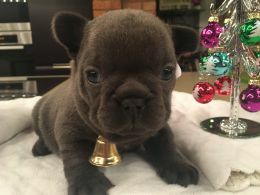 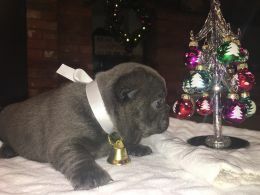 Parents are of a lovely temperament and both live with young children, they have outstanding pedigree going back five generations and all pups will come with kc papers. 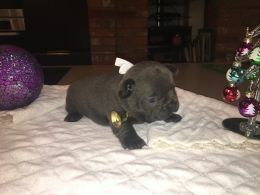 Puppy's will also leave with a puppy pack of kc papers, collar and training mats.